I wrote this blog down a week or so ago, and didn’t post it because it seemed too random. (As if that had ever stopped me before.) But after seeing things in the news about the trash crisis in Italy and other stories, I’ve decided to go ahead and post it, as it seems much more relevant now. I think a lot of people have forgotten the 3 rs. Reduce, Reuse, Recycle. In today’s society, people are in a hurry, they’ve gotten lazy and as much as they complain about the environment and all that, they don’t personally do much about it. We should all try to do more for the environment. This is easy. Instead of buying Tupperware or whatever, just wash & reuse butter dishes, gravy jars, etc. Instead of buying gift boxes and shipping boxes, reuse food boxes or boxes you buy & receive goods in. When I sold online at auction sites, I was often complimented on my ingenuity with reusing packing materials. It’s also fun to see the look on someone’s face when you give them what looks like a case of beer or a coffee pot for Christmas, but find something else inside. As for Recycling, that’s something that should be done everywhere. Up north, recycling bins are outside nearly every home. Everyone recycles paper, glass, metal and plastic. Also, there’s a 5 cent or 15 cent payout when you return soda and liquor cans or bottles. I was appalled to see none of these things when I came down south. People here look at me funny when I talk about recycling. I think everyone should do it. And once you get used to it, it becomes second nature, and there’s no excuse for not doing it besides pure laziness. Especially in places where they pick it up right along with your trash. 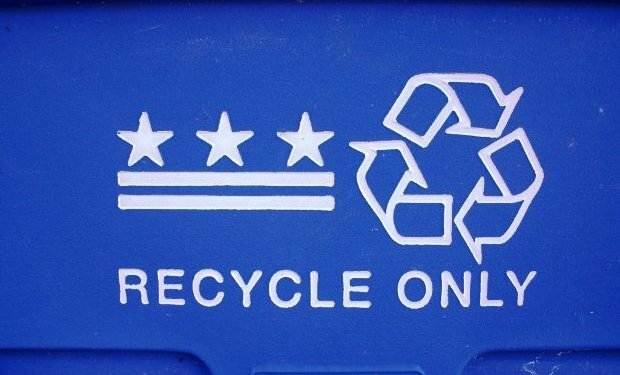 There are tons of ways to reduce and reuse, even if recycling isn’t available in your area. And since we’re living in an era of greed, if you don’t care about the Earth, try thinking about the money you can save. Buying large containers of food instead of single-serve packages saves money. Reusing resealable food containers saves money. Reusing packages saves money. So it’s good for the Earth and the pocketbook. Can you really beat that? If you need more ideas on ways you can reduce, reuse or recycle, feel free to contact me. I’m pretty creative when it comes to this stuff. You can also find several articles on my Associated Content profile with all sorts of Earth-friendly tips. So, I’m doing my part to help the environment… Are you?